A while ago I heard rumour of a wonderful little gem of a bookshop in one of the tube stations in London. Because I was nowhere near London at the time, I promptly forgot all about it. When I was offered a work experience position at Slightly Foxed, ten minutes from Old Street Station, I heard it mentioned yet again and was told that I simply had to visit. It sounded brilliant, and so off I went one lunchtime to check it out. 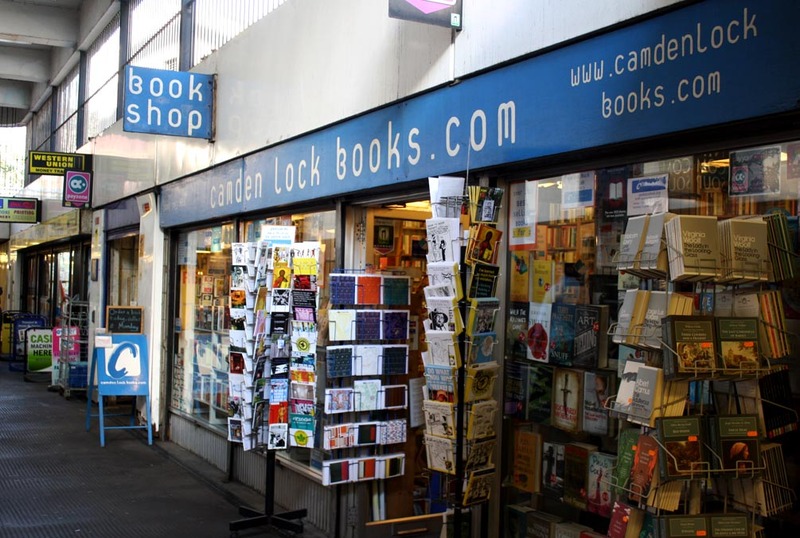 Strangely, the bookshop is named Camden Lock Books, as that was where the owner, Jason Burley, opened his first bookshop in 1984. The name is a bit odd as it is located nowhere near Camden, but little quirks like this are always appreciated by a bookworm like me. Once you are in the correct section of Old Street Station, it is difficult to miss Camden Lock Books because of the bright and colourful display stands packed with small books, cards and also the Candlestick Press poetry pamphlets, which I was delighted to see! The layout of the shop is well thought out and orderly to a point, with each section clearly marked. However, mixed in with the books on the shelves, there are cardboard boxes packed tightly with yet more books. Some of these boxes concentrate on a particular author but others seem to have a random selection at a variety of prices. I enjoyed rummaging through these and finding all sorts of interesting titles. The science-fiction section is well stocked, taking up a whole corner and including a spinning stand filled with obscure and cult postcards. Anything that can’t be found on the shelves may well be in one of the uneven piles on the floor. On Twitter, Jason Burley described the shop as a ‘controlled chaos’, which I have to agree with. I love this kind of bookshop, where every nook, cranny and leftover patch of carpet has been used to squeeze in even more books. You can also find a variety of non-fiction books, ranging from categories such as history, spiritual, biographies and photography. There is a large set of shelves dedicated to music, and obviously the owner is into music as there are CDs on sale too. In fact, on the day that I visited, there was a lovely background of soft jazz – perfect music for book buying. I have been told that the shop often plays world music too. 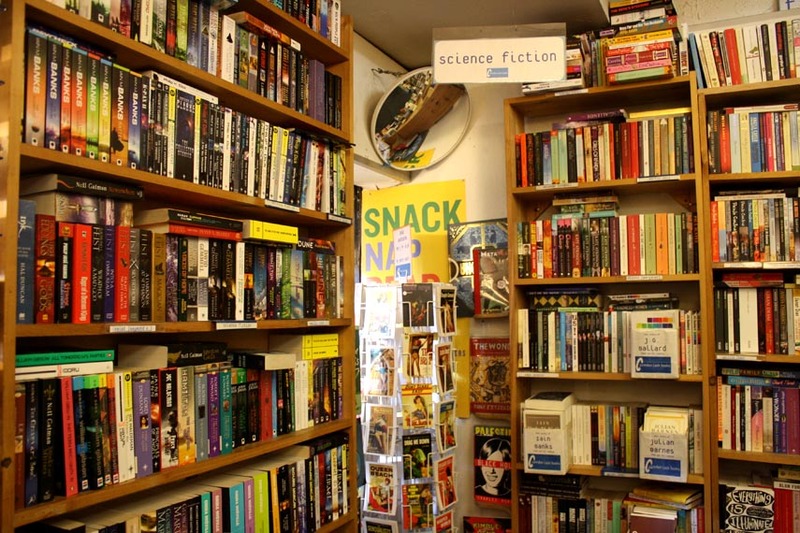 Camden Lock Books is a great place to kill some time between stops but it’s also worth going out of your way to visit. You are bound to find something to your taste and the prices are very reasonable; ranging from the normal recommended retail price to much more affordable ‘cheaper than Amazon’ prices. With the old mixed in with the new, it’s nice to take your time and see what sort of book you are in the mood for. On my lunch break, a particular blue cover stood out for me, and after reading the blurb, it sounded like just what I wanted. I’ve never heard of The Music Room by William Fiennes, but for £2.99, I thought that it was definitely worth a try. The kind man behind the counter (who I assume is Jason Burley himself) wrapped the book up in a paper bag, and off I went with a smile on my face! 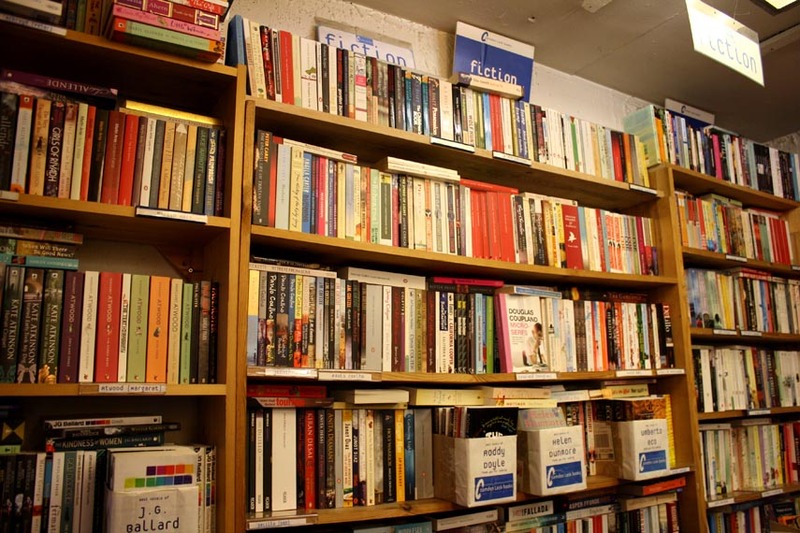 If you are not in need of a book, Camden Lock Books also has a nice selection of cards, literary mugs, penguin bags and other bookish products, all of which would make excellent presents for book loving friends and family. So next time you need to take the tube, try to work Old Street Station into your route. 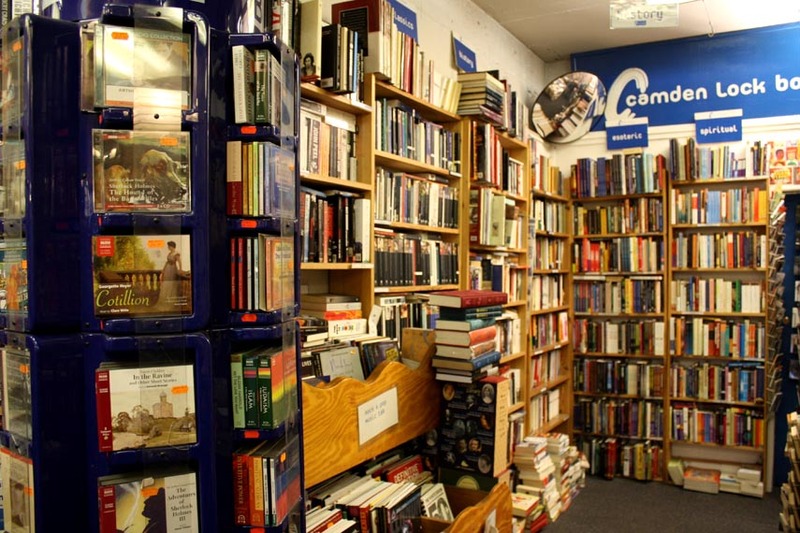 If you would like to know more about Camden Lock Books, you can visit their website. The full address is; Old Street Station, 4 Saint Agnes Well, Islington, London, EC1Y 1BE. (phone: (020) 7253 0666). ← Top 5 Blogs – Award Time! It looks so interesting! It reminds me of my favorite bookstore in NY, ‘Strand’ 🙂 You could find so many treasures there! 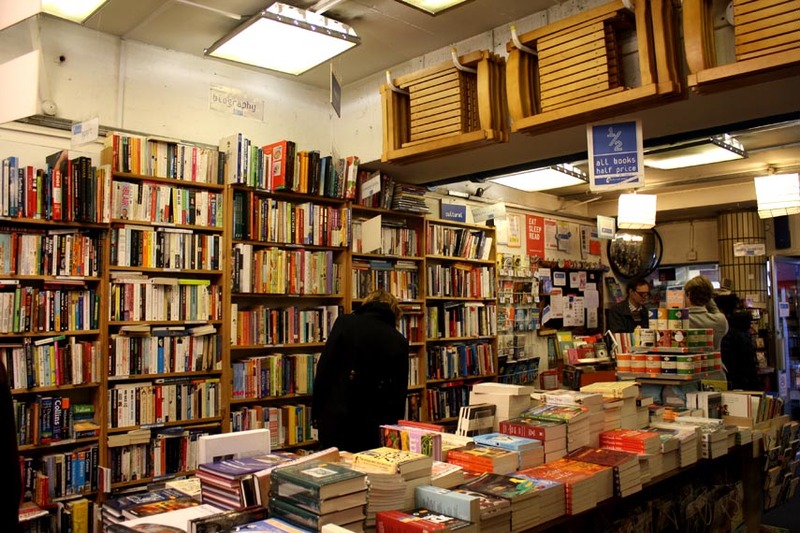 It is a good name – And a controlled chaos is exactly what a bookshop should be! Thanks for the comment! What a great looking book shop! I hope you enjoy The Music Room. I read it a couple of years ago and loved it. Yes, it is a wonderful shop! Thanks for the comment! This bookshop looks and sounds so interesting. If I lived in London, I’d probably be in there every day. It would be dangerous for me to live or work close by permanently! I would be in there all the time!